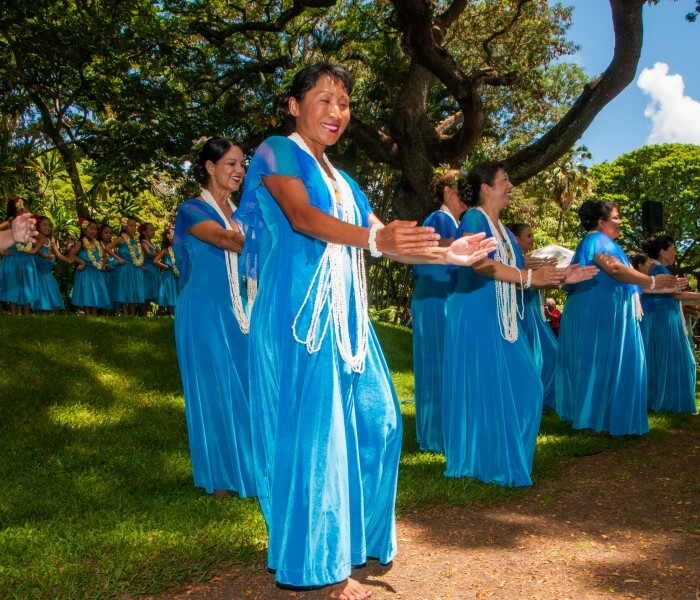 Mo`olelo O Moanalua…Stories of Moanalua, the 39th Annual Prince Lot Hula Festival taking place on Saturday, July 16, from 9 a.m. to 4 p.m., and Sunday, July 17 from 10 a.m. to 3 p.m. will showcase twenty of Hawai`i’s finest hālau hula (hula groups) over the festival weekend. A performance line-up is attached. 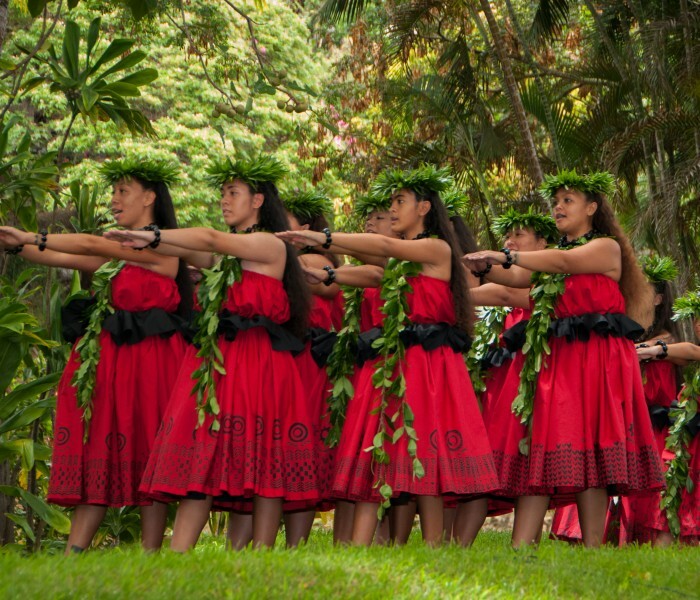 The largest non-competitive hula exhibition in Hawai‘i, the festival is held at spectacular Moanalua Gardens each year to honor Prince Lot Kapuāiwa who reprised the once forbidden hula in the district of Moanalua. 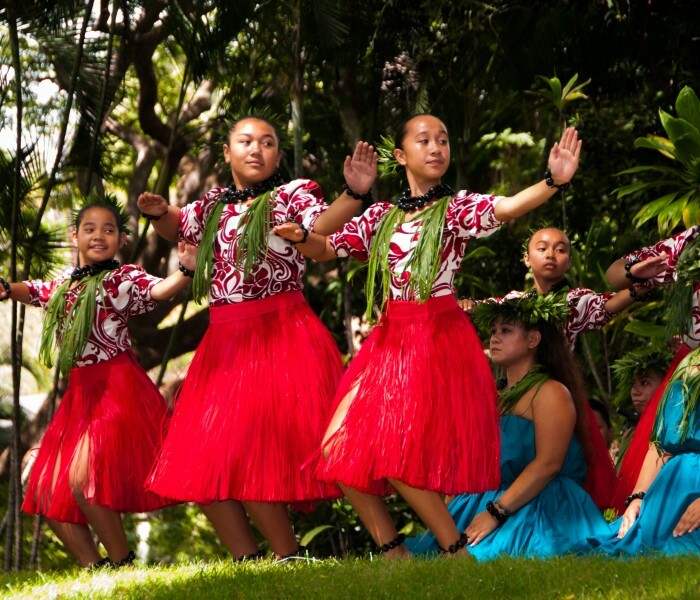 It is presented by Moanalua Gardens Foundation, a non-profit organization dedicated to preserving and perpetuating Hawaii’s native culture and natural resources. 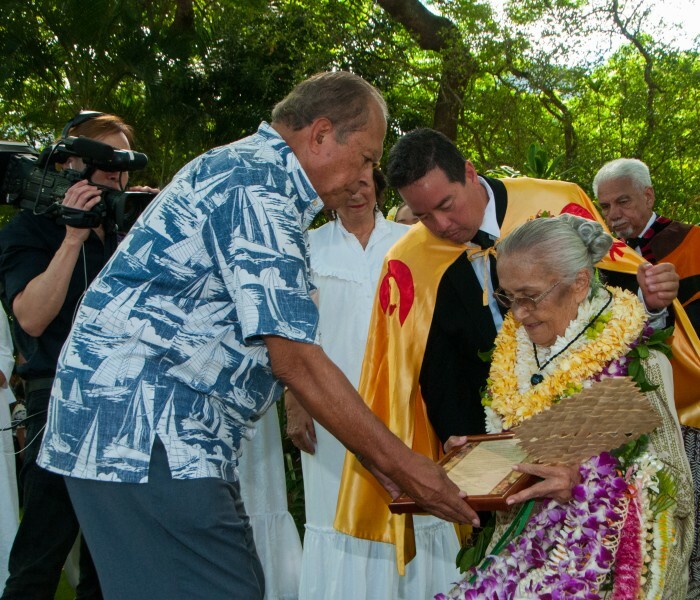 Festival highlights include a stunning ho`ike (program) honoring 2016 Malia Kau Award recipients Kumu Hula Coline Aiu and Kimo Keaulana on Saturday at 9:15 am. 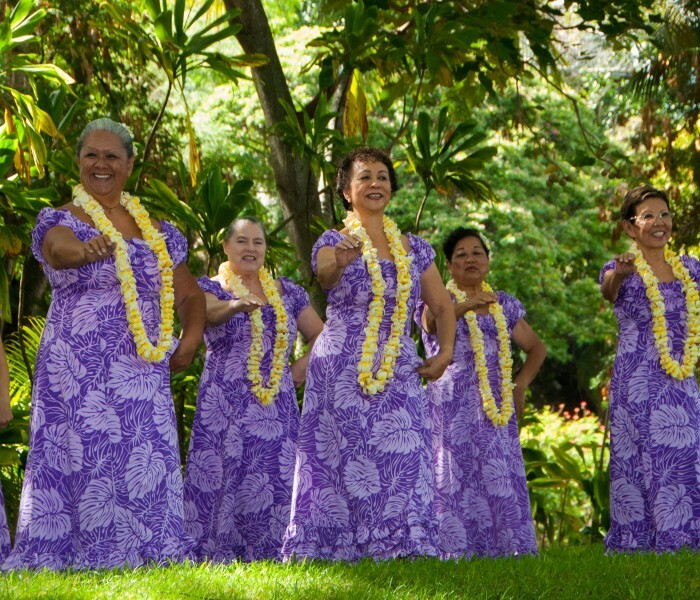 Also, Nā Hōkū Hanohano award-winning vocalists Kuana Torres Kahele and Raiatea Helm will be participating as special guests. Kuana will be signing CDs and his Make Lei DVDs, and will preview his Kuana elegant culture line of Ni`ihau shells and 14k gold jewelry. He will be at The Mountain Apple Company booth beginning at 10 am on both Saturday and Sunday. 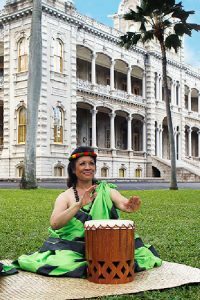 Raiatea will headline the Opening Ceremony on Sunday, July 17 at 10 am and will sign her CDs, including her newest release He Leo Huali, at the booth following her concert. 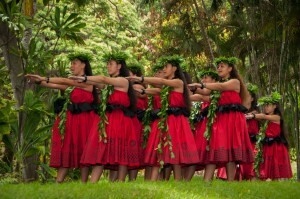 Other highlights include noon concerts by the Royal Hawaiian Band on both Saturday and Sunday, a Hawaiian-themed craft fair featuring over 35 local crafters, demonstrations of traditional Hawaiian arts by noted cultural practitioners, including lauhala weaving, kapa making, ipu making, feather lei making, ukulele making and more. Saturday from 9 am to 4 pm. 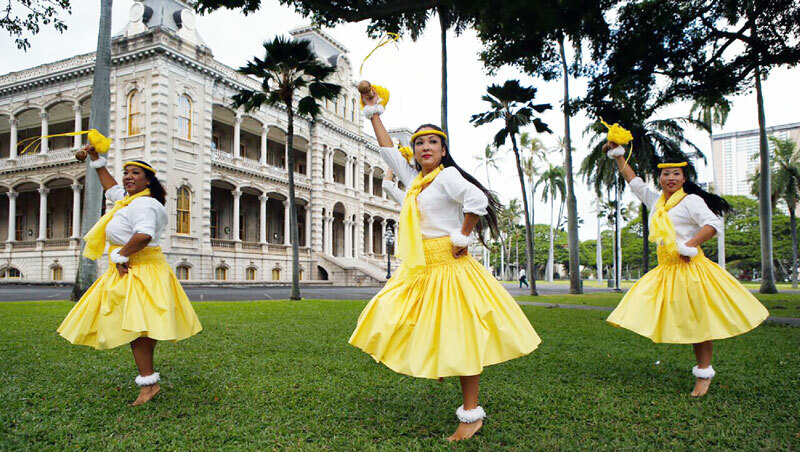 Food vendors will offer a variety of mouth-watering local specialties featuring Hawaiian plates, shave ice, poi mochi and other island favorites. 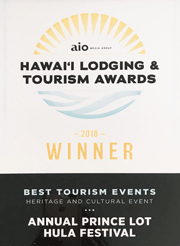 “This year’s celebration promises to be one of our best ever and we invite the entire community and our visitors to join us for this free uniquely Hawaiian event,” he stated. 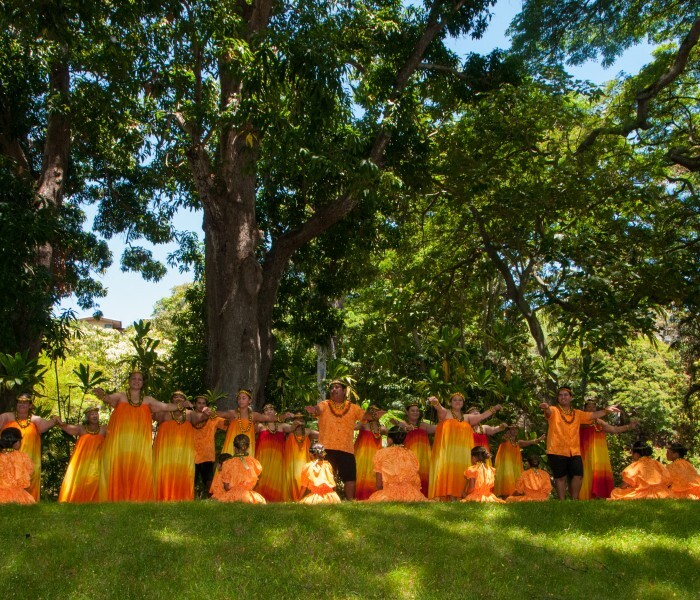 The public, and visitors, are welcome to bring their low beach chairs and mats and enjoy the fun, food and festivities under the shady monkeypod trees of Moanalua Gardens. No commercial photography is allowed. 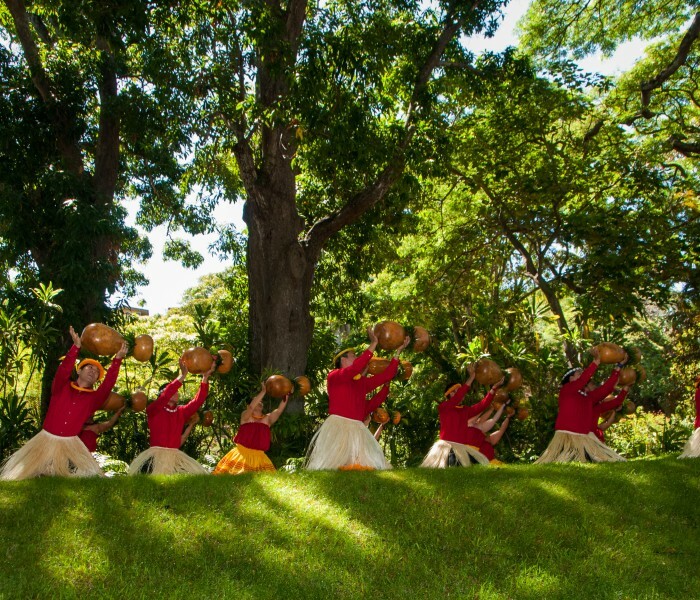 An historic and cultural treasure, Moanalua Gardens is one of the most beautiful places in Honolulu on the island of O`ahu. Once a botanical garden, it is home to legendary structures and rare trees, including the famous “Hitachi” tree. 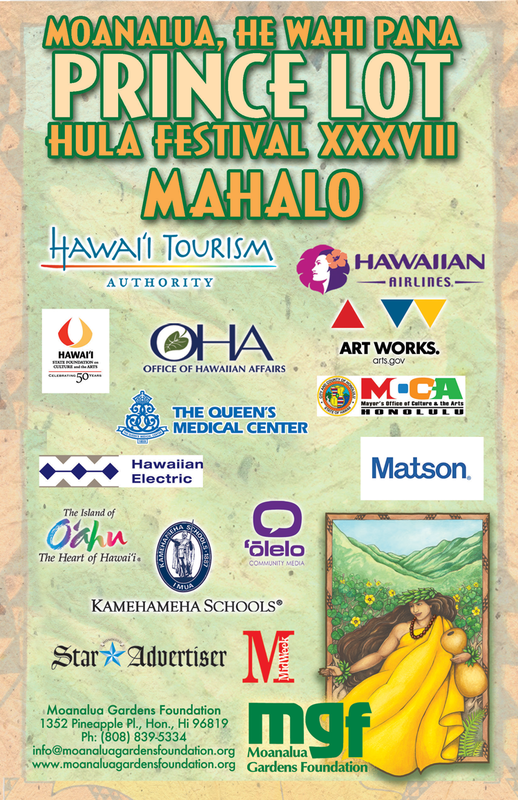 Festival sponsors and supporters include the Hawaii Tourism Authority, State Foundation on Culture and the Arts, the Office of Hawaiian Affairs, the Mayor’s Office of Culture and the Arts, Hawaiian Airlines, The Queen’s Medical Center, Matson Navigation, Royal Hawaiian Center, Hawai‘i Visitors and Convention Bureau, O‘ahu Visitors Bureau, the Honolulu Star Advertiser, MidWeek, ‘Ōlelo Community Media, Pasha Hawaii, Solar City and others. 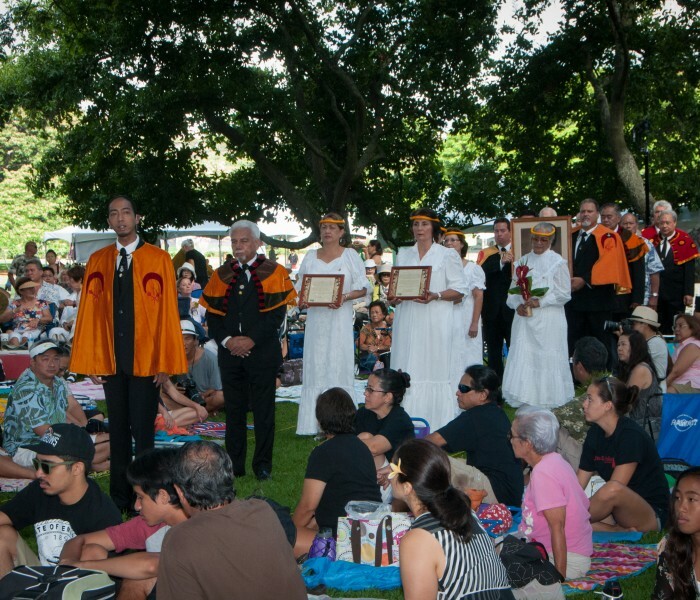 Named in memory of Prince Lot, who later reigned as King Kamehameha V, the festival was founded in 1977 by MGF and is enjoyed by both residents and visitors each year. 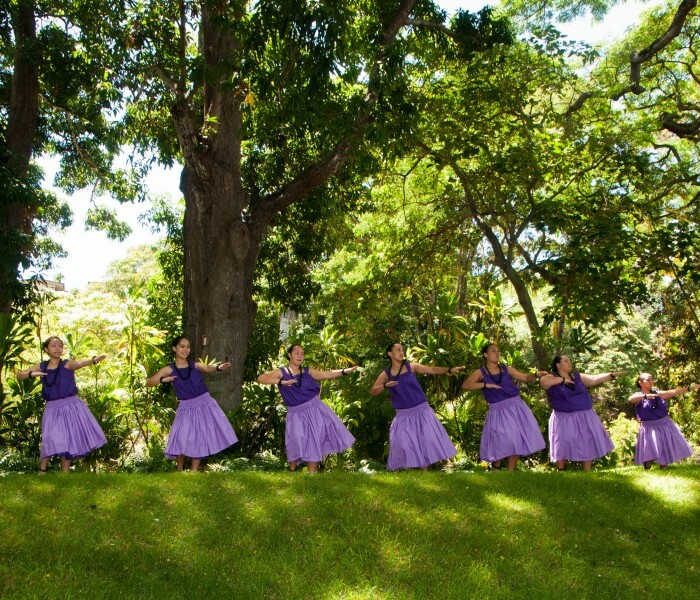 Moanalua was a favorite recreation spot for Prince Lot, who helped revive the hula at his gatherings in the district of Moanalua. His summer cottage can be found on the gardens’ grounds. 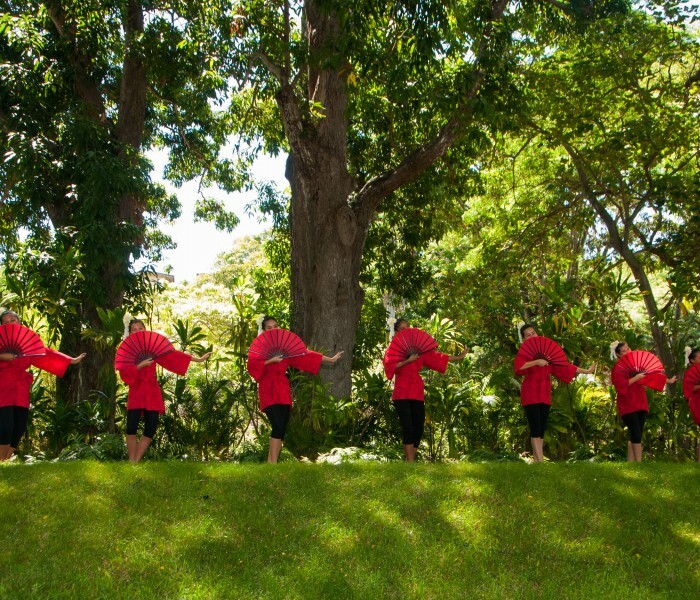 To view participating hālau and a festival performance schedule, Click Here or call 808.839.5334 for more information. 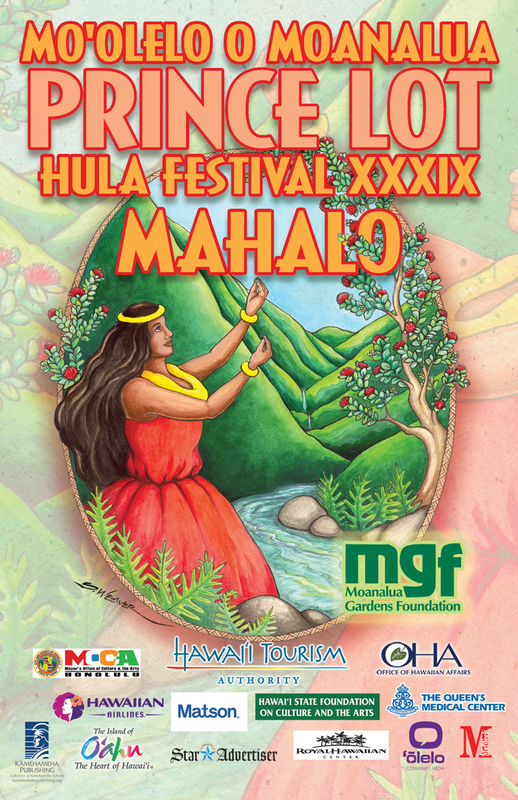 A non-profit organization founded in 1970, Moanalua Gardens Foundation (MGF) is committed to preserving and perpetuating the native culture and environment of Hawai’i through education and stewardship of Kamananui Valley and celebration of the annual Prince Lot Hula Festival. 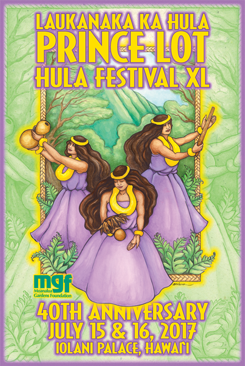 MGF depends upon grants and donations to cover festival costs. 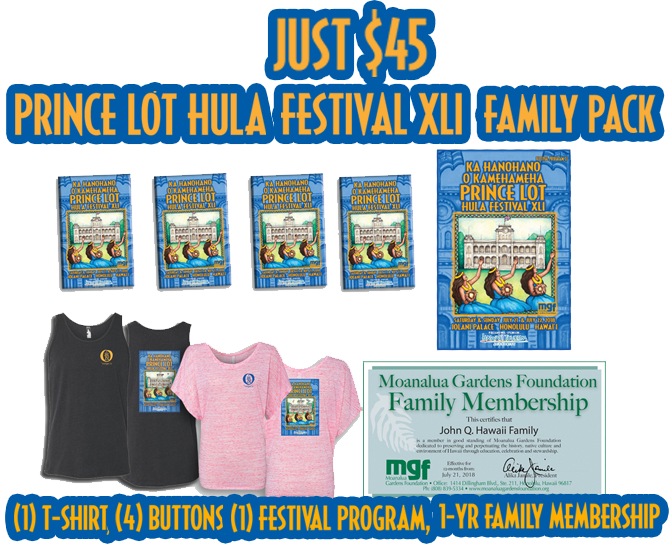 To make a donation or become a member please visit http://www.moanaluagardensfoundation.org. 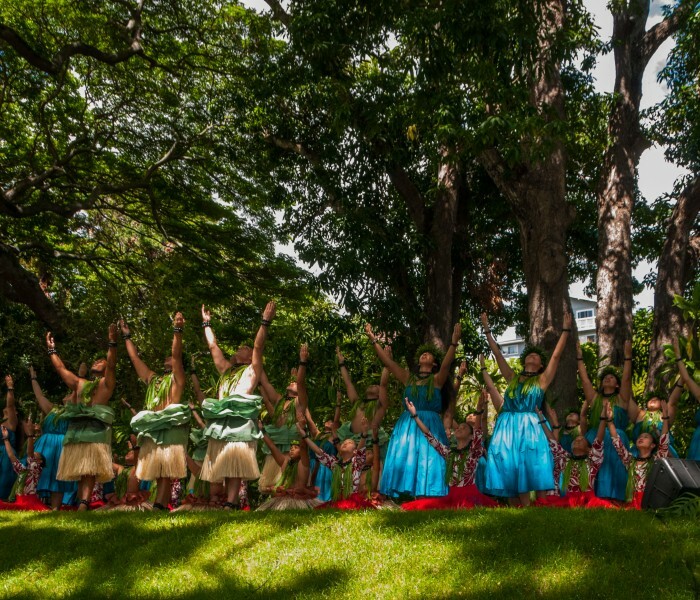 Moanalua Gardens Foundation (MGF) is pleased to announce that Mo`olelo O Moanalua…the stories of Moanalua will be the theme for this year’s 39th Annual Prince Lot Hula Festival. 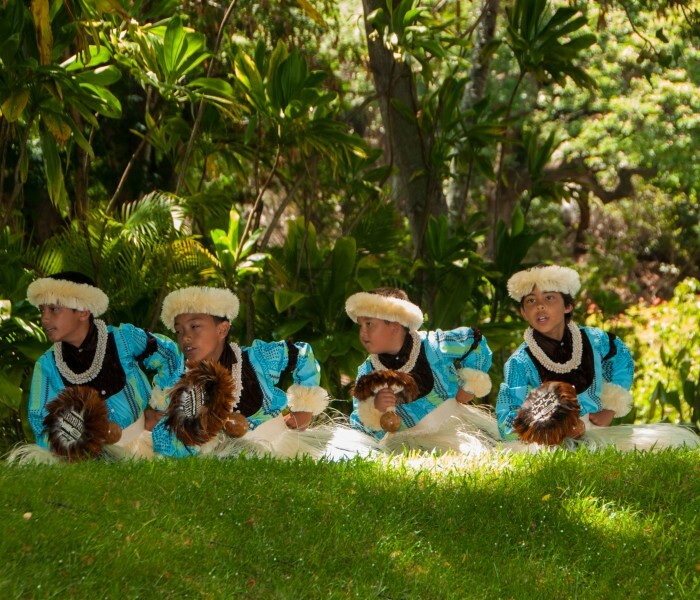 In ancient times, a center of hula and chanting, Kamananui (Moanalua) Valley was a revered place for Hawaiians. 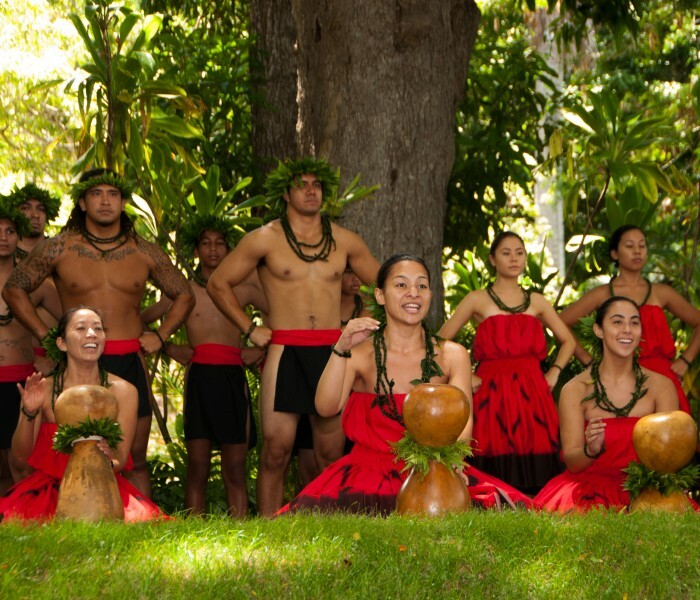 Many mele (songs) and oli (chants) originated in the valley. 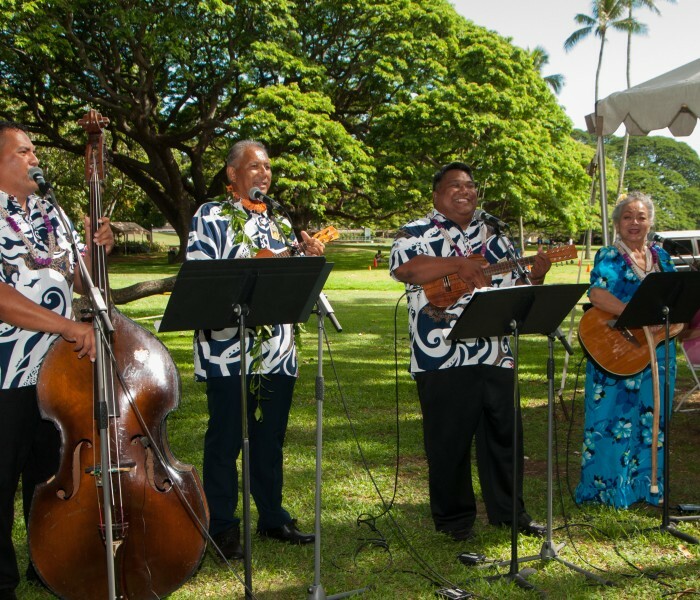 Join us as we share some of these special stories with you on Saturday, July 16 and Sunday, July 17 at spectacular Moanalua Gardens in Honolulu. 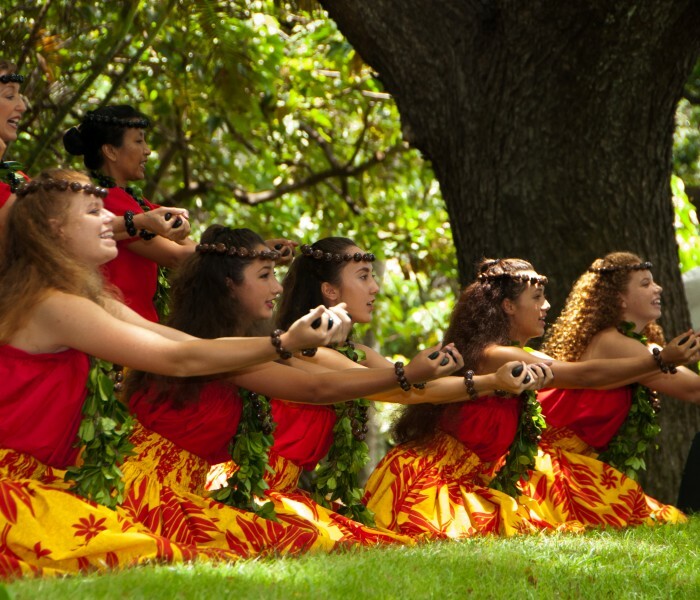 I want to mahalo all of you for inviting us to perform at the Prince Lot Hula Festival. 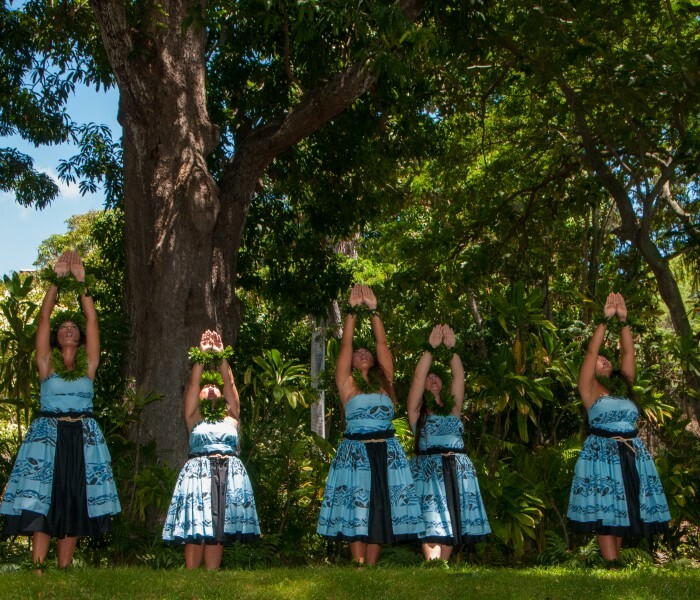 It was truly an honor and privilege to be able to share our hula and mo’olelo with everyone. We are very grateful for the opportunity to be a part of an amazing event. 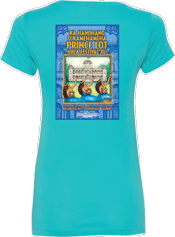 Wanted to send our warm MAHALO for allowing us to give this year at Prince Lot! It was quite an overwhelming experience for all of us. 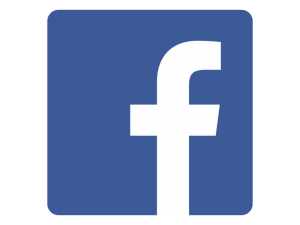 …we are ever grateful for the participation. 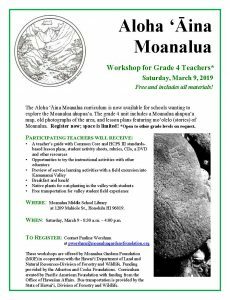 Mahalo lehulehu! You have always done a great job! …nice addition having Sunday. 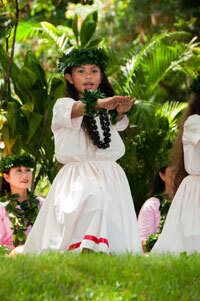 We had a great time at the Prince lot Hula festival. Thank you so much for including us in the event. 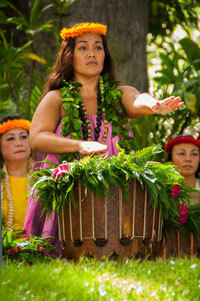 We enjoyed the Hawaiian music, hula, and met many new wonderful people. 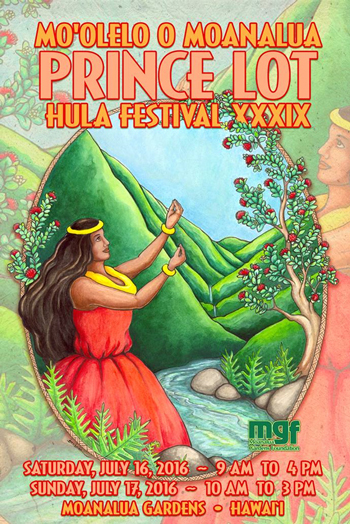 May I say congratulations on an amazing weekend at the Prince Lot Hula Festival 2015. Having attended this event for over two decades I am astonished by the continued growth and professionalism of the event. 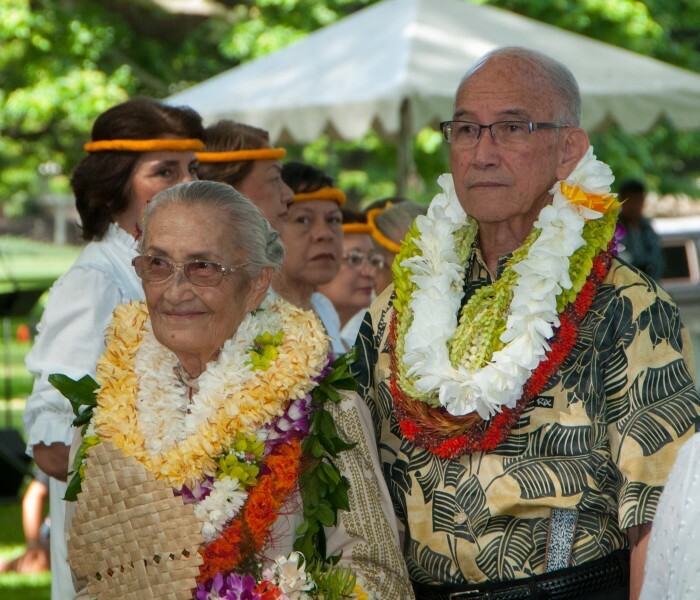 How can it not touch the heart of the public when you honor the lifetime work of Kumu Joan S. Lindsey and Kumu Ed Collier! 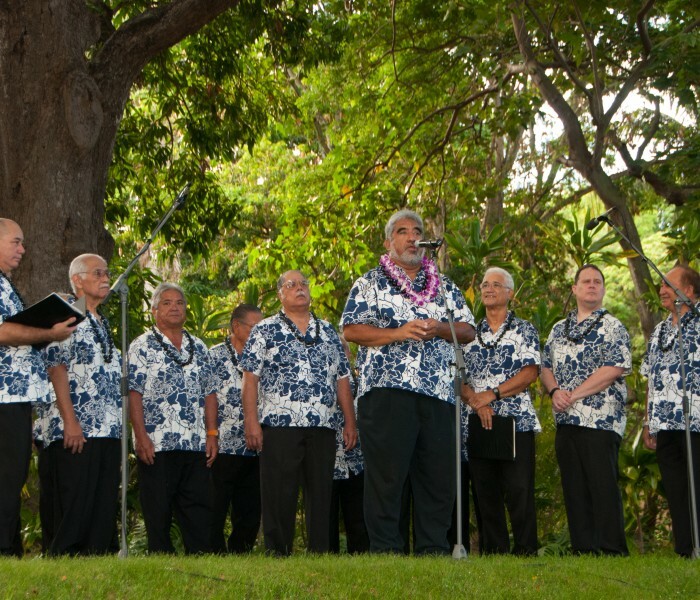 We received a gracious welcome to the beauty of Moanalua Gardens including a serenade by the Kamehameha Alumni Glee Club. 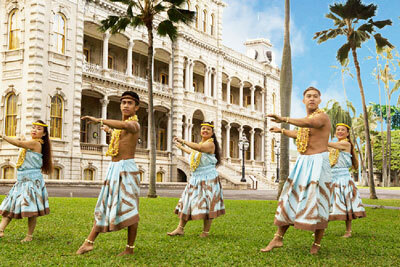 You continue to educate us on the Hawaiian culture through the absolute joy of hula. 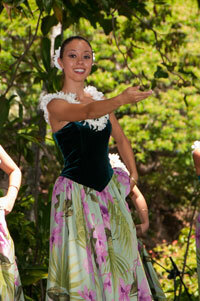 How I enjoyed the beauty and variety of styles of the halau including the island of Molokai. 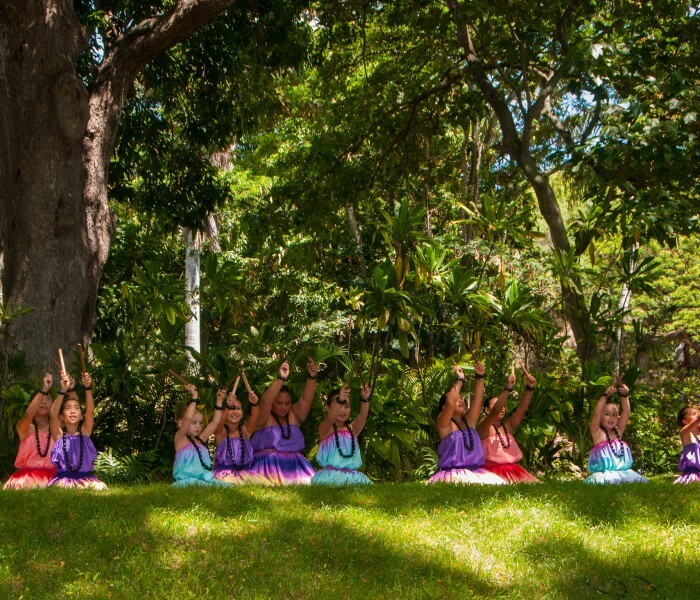 The good organization of a large event is never easy and it takes tremendous work. I appreciated the wide variety of artisans, cultural practitioners, food and the volunteers who assisted us. 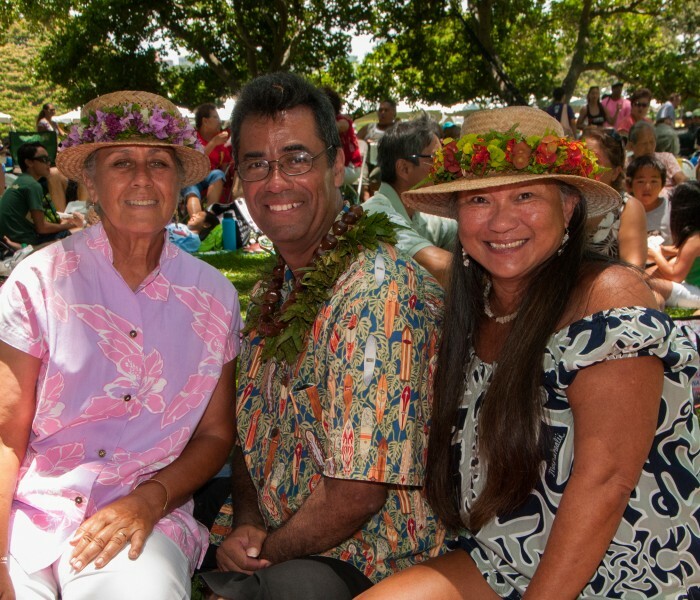 While sitting in the audience I visited with people from Kauai and Hawaii who flew in for the festival. There were visitors from Asia, Europe and the mainland. 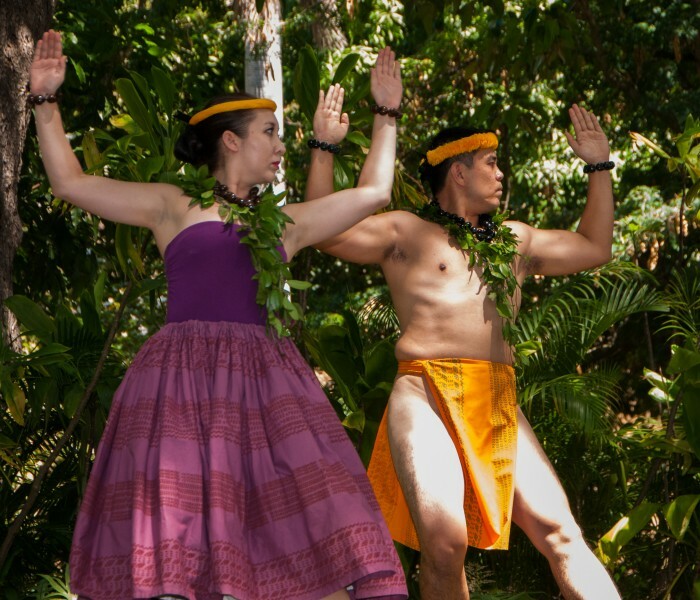 The Prince Lot Hula Festival gave us memories to treasure, and a deeper understanding of the Hawaiian people and their culture. You and your team have created a world class event!